Anna was endlessly optimistic and bouncing about each day with a true love for life and adventure. She was a sailor and competed in Swiftsure races, faced heavy weather in tugs, and excelled in tough times. Wilderness trips, caught in blizzards at timberline, crossing glaciers to provisions hung valleys away – she relished it. 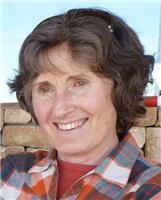 She lived off the grid with her husband Lex for years, on boats and in remote cabins. She travelled the world but loved the Sunshine Coast, and her ancestors were early settlers here. Walks through the forest, year-round ocean swims, cross country skiing, tending her garden at first light in spring and summer – she found joy in every season. Born and educated in Vancouver BC, she graduated from UBC, Emily Carr, and Capilano College with degrees in fine art and sculpture. In her early career she worked as a graphic designer for Vancouver City Hall and the Provincial Education Media Centre, a display technician for Vancouver Centennial Museum, and worked at the Coast Mountain Outdoor School doing interior design, graphics, and as a teaching assistant. She was an accomplished wood carver, which was the focus of her career for over 40 years, drawing inspiration from her grandfather Dudley Carter who was a monumental wood sculptor. She carved by hand with amazing focus, using axe, adze, and chisels. Her pieces ranged from bowls to massive murals, once carving a full-size humpback whale. It was not uncommon to find cedar chips strewn about the car and house as her carvings seemed to follow her everywhere, the smell of cedar permanently locked into her clothes. 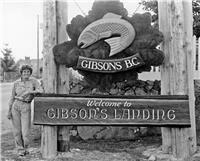 Her work was a mix of private and public commissions, with her first public commission the Welcome to Gibsons sign in 1980. The sign has since been moved to the entrance of the Gibsons Harbour. Other notable works on the Sunshine Coast include the Welcome to Sechelt signs, the Gibsons Pioneer Museum sculpture and logo, the cedar and aluminum installation at the Sechelt Library, the logo for the Town of Gibsons, and the banner of two diving terns on lamp posts currently throughout Gibsons. Her sculptures can be found in Japan, Scotland and the US. Throughout Anna's fight with pancreatic cancer she remained positive and in good spirits. She stayed with us as long as she could. We would like to thank the doctors, hospital staff, and home care for their support. Anna will be remembered for her kindness and sunny outlook on life. She continued carving right up until her final weeks (as did her grandfather who lived to 101), and leaves behind a large unfinished commission in red cedar that inspired her. What an amazing example of how to live life, in sickness and health. She has taught us to truly appreciate each day and each moment together. A celebration of life will be held on Sunday September 30th, 1pm at a private residence.